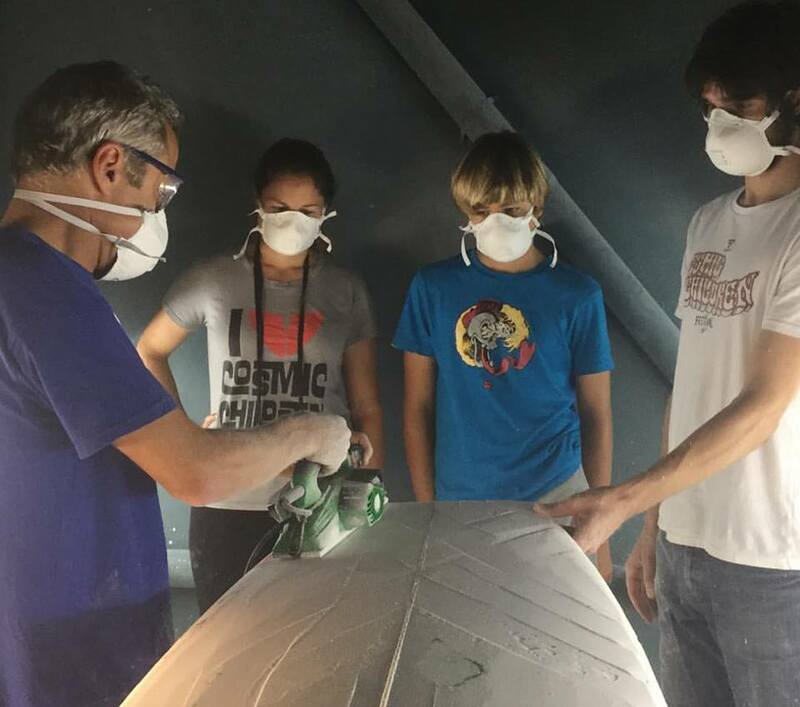 They came, organized, surfed incredible and won one of last year’s awards: Build their dream board in the workshop of Enjoy Your Surroundings by the advisory of shaper Erik Labayen. This video shows the Garcia family working on the process and how their surfboard. We are sure they will rip will it in this edition. In our 12 years of cosmic journey, surf families have been a pillar and an essential part of the festival. As this great surfer family grows, things are getting more difficult but also more exciting to reach that first place. And from here we take the opportunity to appeal to all those families who want to fight for your honor and glory. Surfing families, this is your event, so do your best so you can also build the board of your dreams. For those who are new to this topic, you should know be aware that the “Tag Team of Families” is a relay heat composed of parents, children and occasionally grandparents. The test gathers up to 3 generations of surfers from the same family competing as a team. We turn an individualistic sport like surfing into real collective stoke for the families, gathering the past, present and future generations of surfers. Last year the Garcia family clearly won the Tag Team Familias, so as a prize they won the possibility to shape and build their dreamed board with Erik Labayen from Enjoy Your Surroundings workshop. Led by one of the greatests Spanish and European surf champs, Dani García, followed by his son Néstor (13 years old), his sister Silvia and his brother Raúl (alma mater of this festival and personage of the industry and surfing celebrity for decades). In the video you can see how they built a nice replica of their very first single-fin, bought to one of the spanish surfing pioneer Jose Manuel Merodio. It has been a source of inspiration ever since. Sign in to enter the comp and find out now thru the website the Rules and how will you score best. Your dream board is waiting.